After finding a couple of terrific apps to get the info that I wanted (Move! Bike Computer and MapMyRide+) and creating an NFC tag so I could quickly put my phone into "bike mode," I was still missing one key component: a way to keep an eye on my phone. 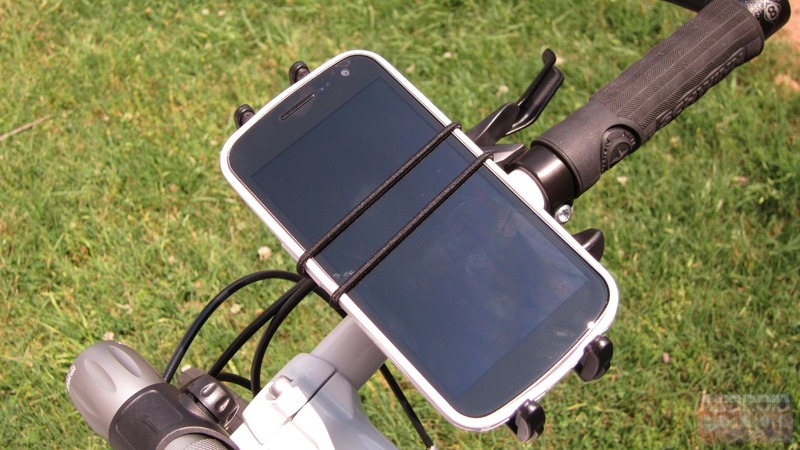 So began my quest for a good and secure way to mount my phone onto my bike's handlebars. 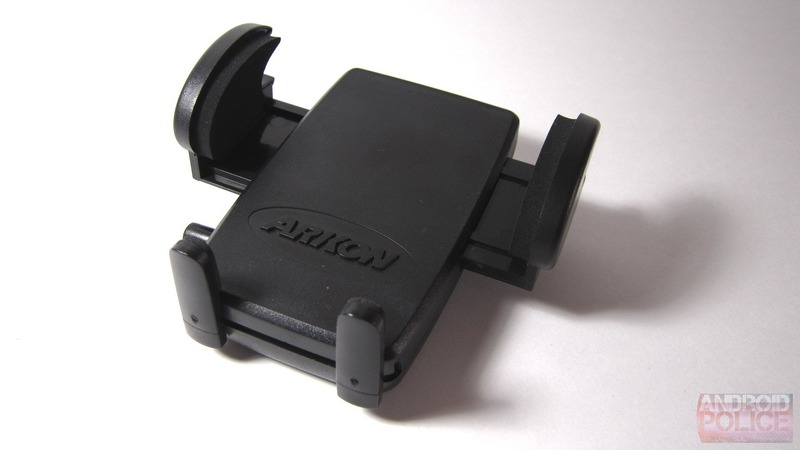 That's when I found a trio of mounts from Arkon that could not only mount to my bike, but also in the car with an additional base. 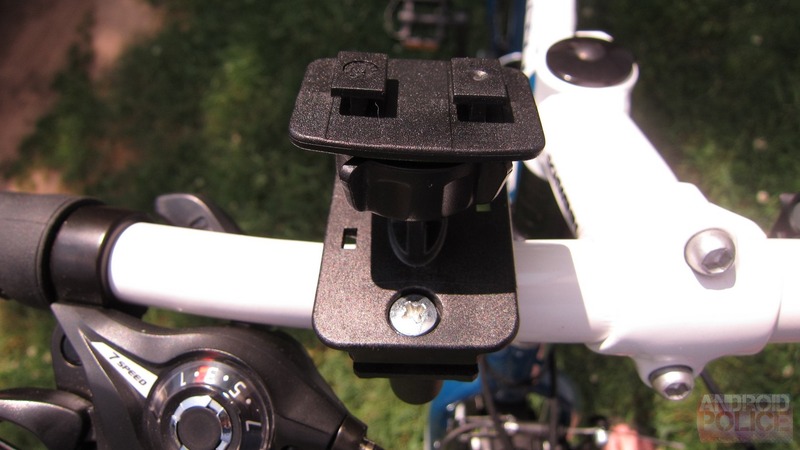 I've been using the Mega Grip and Slim Grip mounts on my bicycle for more than a month now, so let's take a closer look at what this set has to offer, aside from an easy to use mount that works across multiple modes of transportation. 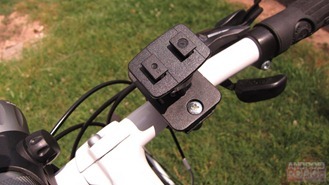 While I used these mounts exclusively on my bike, the below review is equally as applicable for the vehicle mounts, since they're the same thing. How much does it cost? Between $20 and $25, depending on the package. Excellent Grip. 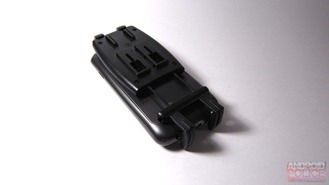 The Mega Grip has adjustable spring-loaded arms that hold your phone in place. Once the phone is placed in the seat, you simply squeeze these padded arms together to form a nice, tight hold. The phone is easy to remove. 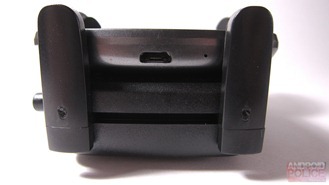 While the mount holds the phone in place quite nicely, there is a small button on the side that releases the arms, thus releasing its grip on the phone. 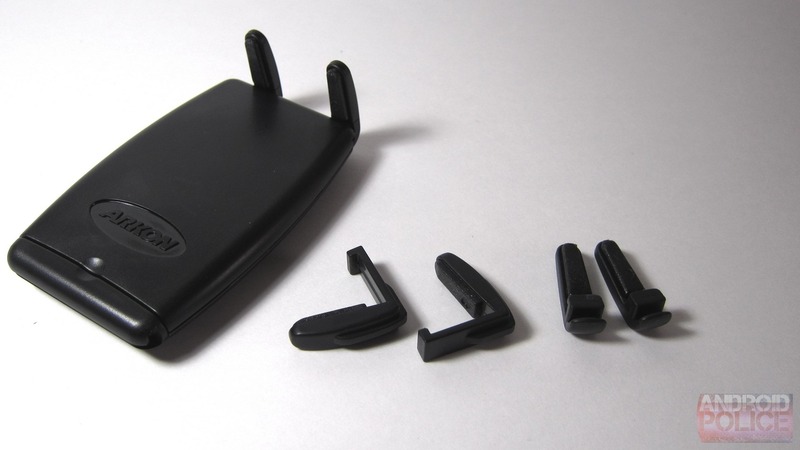 It should be able to hold basically any phone on the market. 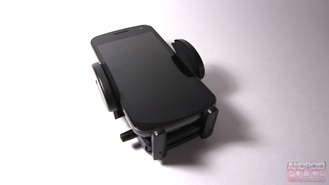 This mount held my Galaxy Nexus with plenty of room to spare. 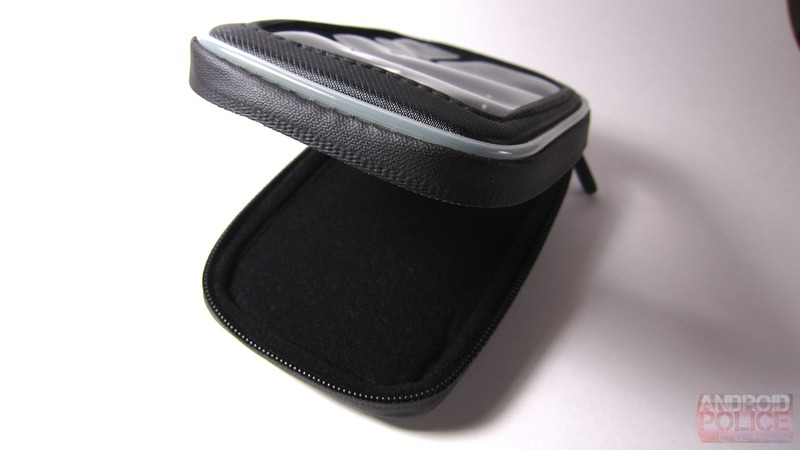 It should be able to hold anything from an iPhone all the way to the Galaxy Note without much if an issue. It should be compatible with basically any case. Since it's completely adjustable, it should be able to handle any device without having to remove the case. 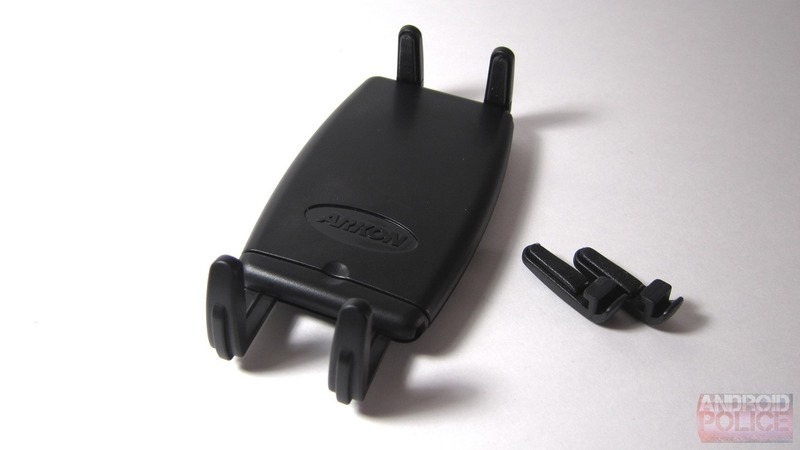 The top half of the device is still exposed. 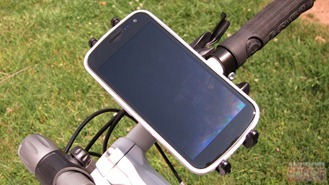 Since the entire top half is left uncovered, you should be able to access the power button and volume rocker on most devices. 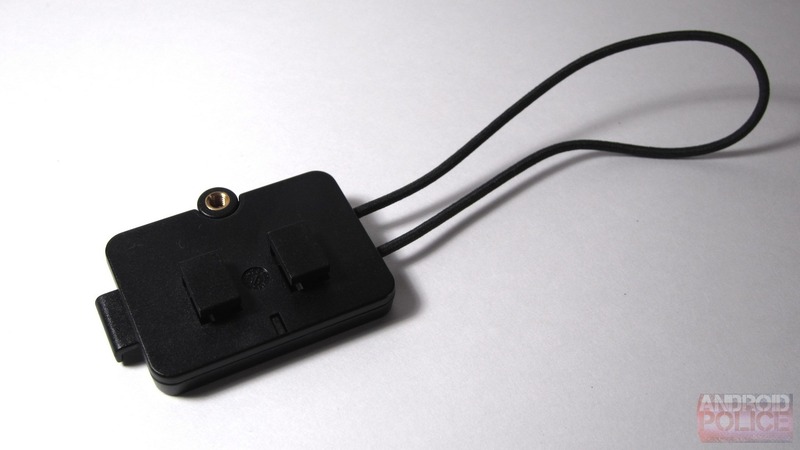 If, however, the headphone jack or USB port is located on the bottom half of the device, then it may be covered (more on that down below). It covers the bottom half of the device. 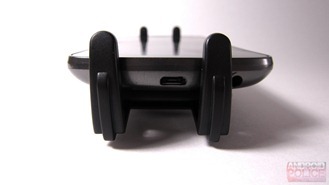 This may not cause a problem on certain phones, but it left the headphone jack completely inaccessible on my Galaxy Nexus (the bottom arms are adjustable, but I felt like moving them inward reduced the strength of the hold). This could be a problem for anyone looking to use headphones while the device is in the mount (if the jack is on the bottom or side, that is). The spring-loaded arms could wear out eventually. While the arms feel pretty good right now, I can't say what months of opening and closing could do to them. Eventually, they'll definitely wear out, at which time the unit will need to be replaced. It's Bulky. In my experience, the more robust the product, the more bulky it is. That's still the case here - it's not huge, but it's definitely bigger than I expected it to be. How much does it cost? Around $20, give or take a few dollars depending on the package. 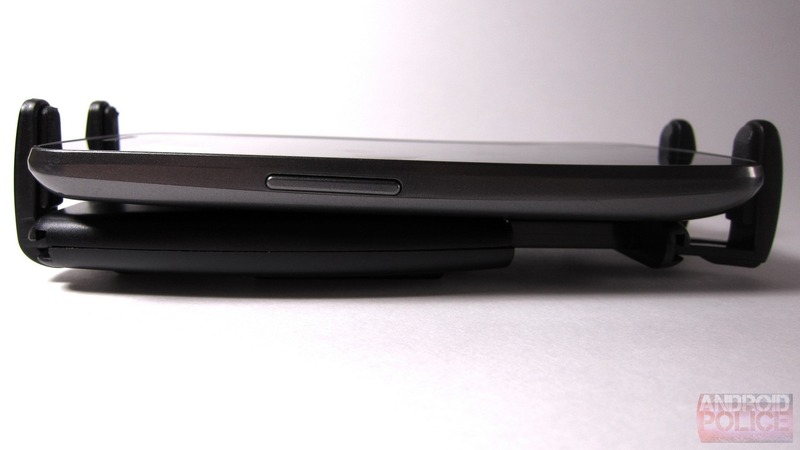 It's small, with a thin profile. 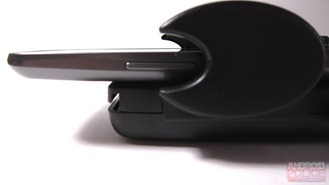 The Slim Grip takes up significantly less room than the Mega Grip, as it has a more streamlined shape. 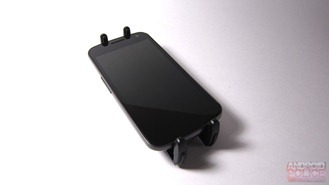 It has adjustable legs for various-sized devices. The Slim Grip has small grooves in both the bottom and the top for the different-length legs (seen above in the first and second image) so it should fit nearly any size device. The spring-loaded base makes it easy to insert/remove the device with one hand. 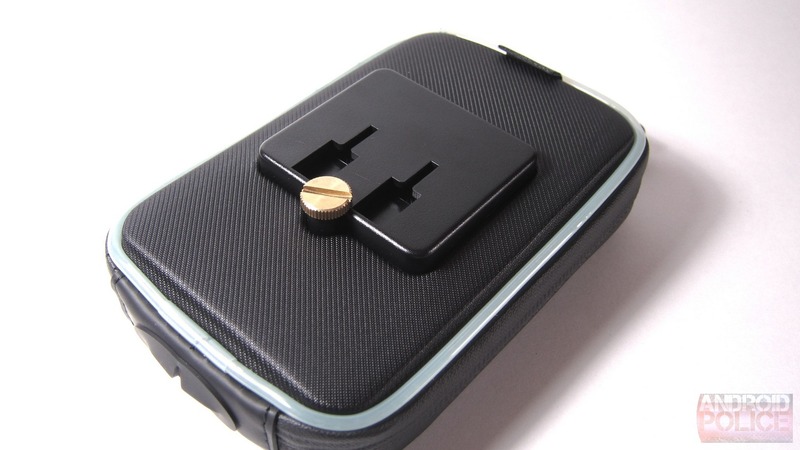 The bottom of the mount is spring loaded, which makes inserting your phone/removing it from the mount one-handed quite easy. It's not as sturdy as the Mega Grip. 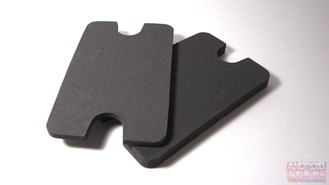 While it may be slimmer and more low-profile than the Mega Grip, it's also not as sturdy. I haven't had an issue with my phone slipping out of it (or anything of the sort), I feel like it could be bumped from this mount much easier than the Mega Grip. 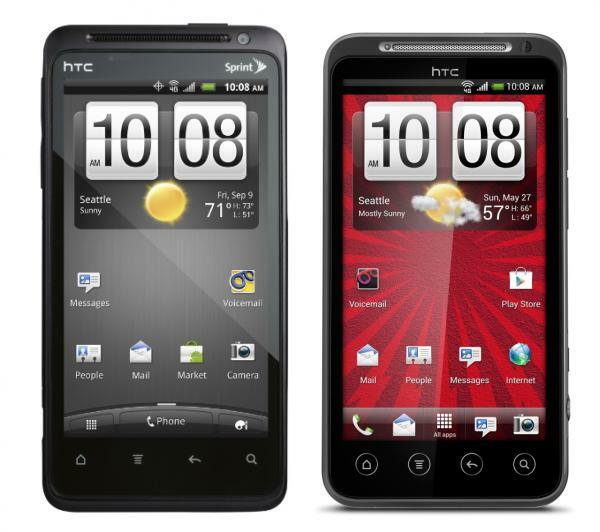 It may not be able to handle devices much larger than the Galaxy Nexus. I feel like the GN pushes this mount almost to its limits, so if you have something much larger (like the Note), I would probably steer clear of this one. The spring-loaded bottom could wear out eventually. Like with the Mega Grip, the spring-loaded mechanism in the Slim Grip will eventually wear out, requiring the unit to need replacing. Arkon also has a water-resistant mount that's specifically designed for use on bicycles/motorcycles, but unfortunately the Galaxy Nexus is too large to fit, so I was unable to see how it perform during real world use. 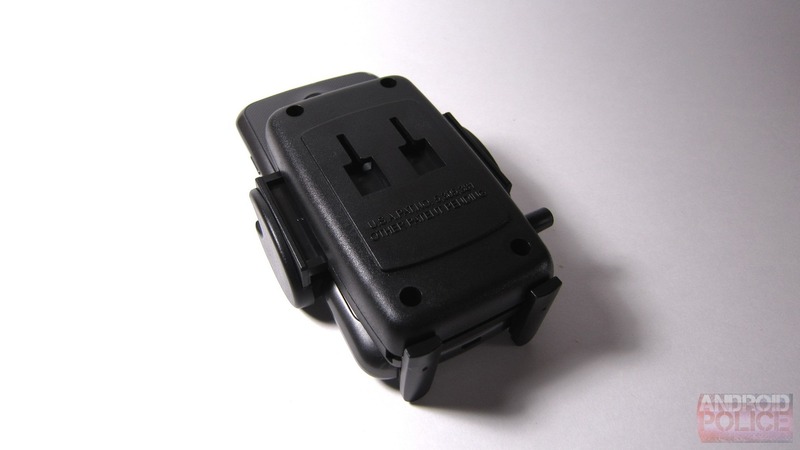 However, it appears to be well made and quite protective. 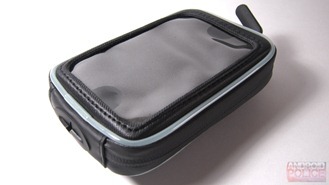 The case completely covers the device, protecting it from the elements. It also includes two pads of different thickness, so you can ensure that your phone is as secure as possible. It would probably work very well for devices with four-inch or smaller displays, as the Nexus stuck out of it about half an inch. 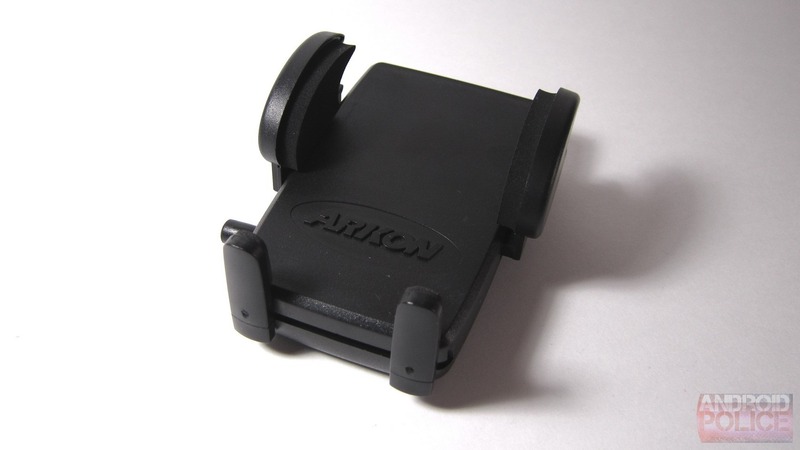 An add-on strap for either the Mega Grip or Slim Grip mount that gives a little bit of extra hold. Overall, these mounts worked out better than I ever anticipated (well, except for the water-resistant model). Both the Mega and Slim grip actually hold onto the device quite well, and while they probably won't provide much protection in the case of a wreck, I can't see my phone coming out during everyday use, regardless of which one I'm using. So, which one am I actually using? To be honest, I prefer the Slim Grip. I feel like it provides enough hold, while still leaving access to basically everything that I need (power, volume, headphone jack, etc.). 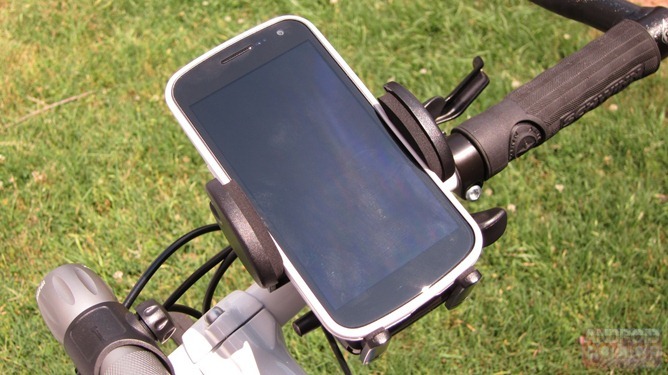 Of course, if you're buying one for your bike and are a more aggressive rider or mountain biker, then I would suggest the Mega Grip (or the water-resistant model if you have a small enough phone). For road-riding, however, I really do love the Slim Grip. For the money, though, you really can't go wrong with either.